The quest to recover ancient genetic material from extinct animals had its blockbuster moment when Jurassic Park came out. But where did the idea come from and who is trying to figure out if the science fiction of Jurassic Park can be science reality? We talk to Dr. Elizabeth Jones, a science historian at University College London, about her work digging through the murky early history of ancient DNA and the dynamic scientists who are trying to figure out how fossils sometimes preserve more than bone. Dr. Elizabeth Jones recently defended her dissertation work at University College London on the historical roots of ancient DNA research. She also has experience as a field paleontologist. 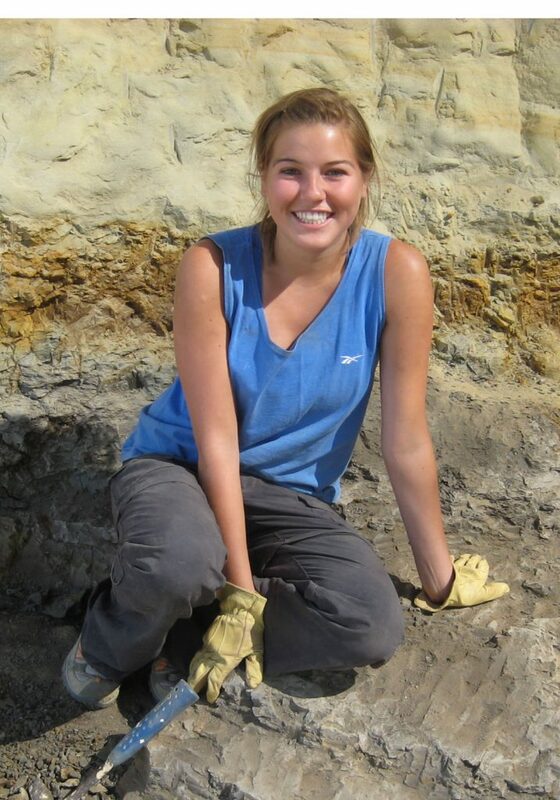 Here, she’s on an excavation looking for more traditional fossilized bone rather than molecular fossils. One of Dr. Jones’s amazing contributions to the history of science is her work interviewing the people who have been thinking about and trying to recover ancient DNA. As a historian of science, she can put look at larger trends in how ideas get passed around between scientists, and how media and public interest affects the scientific process. One key distinction to remember is there is a difference between researchers who are interested in recovering ancient DNA to study what it might tell us about ancient populations or the relationships of ancient animals to modern animals. There’s a whole separate field of researchers who are trying to figure out how to resurrect extinct animals using ancient DNA and cloning technology. These fields feed interest in each other, but they involve different techniques, different philosophical questions, and different research questions. Dr. Jones calls Ancient DNA research a “celebrity science” because each new revelation gets tons of media attention. Listen to our discussion to learn more about where the field started and what might be on the horizon!